Missed a few days on Musings as I got nasty food poisoning on the trip down. Sort of a horror story, so I will pass of the details. Blue Moon.....the bad weather stretched from KY to the Gulf, and I was settled in the kitchen unpacking boxes. Have little stamina but am enjoying seeing things I packed a couple of months ago. Hugs to you too--Hope you are feeling better from the food poisoning. That can really take the wind out of your sails for sure! Mere I am so sorry to hear you had food poisoning. Hope you are feeling better. Congrats on selling your home. A new adventurer is exciting. Blue Moon Prayers for Landrey She is a beautiful little girl She and your whole family are in my prayers. Grace-land, I so enjoy reading all about our Pope in one area. You really have kept us enlightened. Thanks for all of your hard work. You're welcome, Bearly. There are many, many articles about Pope Francis. Hopefully, the posted articles help everyone in getting to know him. By the way, I came across something, and it reminded me of you. It is manufactured by a well-known German company, Herman-Spielwaren. That is so cute. Pope Bearly, I love it! I send you my blessings, not Papal ones, but Bear-al ones! I love the way you have revealed him to us by the articles you chose. Thanks again. I actually had a really nice response typed out, but my son came in and jumped on the bed (where my computer is) and the whole thing erased. I really like that he washed the feet of women, not only men and also, people of different faiths. I can't wait to read more. Hey, Mere, I am so glad you are about to get your house sold (have I told you lately you are sure going to miss Kentucky). I am really glad you are getting to go back home though. We kinda did Easter today. They held a benefit for my g.g. niece today. It was a big event. They had bouncy houses for the kids, Big Red (mascot of our university), the Easter Bunny, Minimouse, a princess, had 2-3 bands, easter egg hunt, a good auction, a Karate club put on a show for Landrey, and lots of great food. It was a good day. My little niece had a good day today but I cry every time I look at her sweet face. We will probably eat Easter dinner with my husbands family tomorrow. She always does a great ham with all the trimmings. You are not the only one who has tears in their eyes when they look at that sweet face. I am happy they had a benefit for her. Medical bills and therapy bills take a toll. I am happy she had a good day, every day should be a good one for one so very sweet. Praying for a miracle. Wish I lived closer. Oh Bearly, you are so sweet. I really appreciate the kind words. Landrey had a bad time this past week. They had to take her back to Vanderbilt to see her doctors. Her team of doctors are learning as they go along so they are trying to find medication that will ease the symptoms she is having which is the nerve endings in her body are hurting her and flaring up. They have sent her back to her eye doctor to see if her vision is deteriorating faster than they thought. She constantly has to have hold of someone's hand or arm. They are afraid she is losing her eyesight faster than thought and that is the reason she has the need to always have a hold of your arm or hand-she is afraid if she doesn't have a hand to hold that she is lost and panics. I noticed her doing that at the fundraiser and I asked my sister about it and she said that was something that seemed to have gotten worse in the past 2-3 weeks. It is breaking my heart to watch her go through this knowing there it nothing you can do for her. If she was an adult, they would have done something temporarily to relieve that pain until she gets to Vanderbilt. Why do we let our children remain in such pain without relief? (We as in the medical field.) Is it because we can pick them up and carry them away, is it because their voices are little? Why do we do that? They are only little, why don't we do something for our kids? Sorry, Blue, this is a pet peeve of mine. They grab their little feet in the nursery and jab this and cut that without so much as cream that can give them some relief. There are so many things we expect kids to do without getting them relief immediately, like teething, for instance. My Grandmother's Dentist told her that if an adult would have to go through teething, they would not be able to stand it. Blue, I hope she finds relief and quickly. Not that I am comparing Landry's plight to teething, I am just mentioning something that hurts badly often does not get relieved. I am praying for Landrey and her vision, too, but I would like to see her get some immediate pain relief. Hang in there Blue Moon and please give Landrey a peck on those cute cheeks and a hug from us. Thanks! I am so sorry about the food poisoning, but just what does a lobster eat? Sounds wonderful to settle in! I wish I understood why? What is accomplished other than to assert, once again, that cruelty can injure innocents and hatred can hurt those who don't live a hateful life. Don't they realize that the pain they cause is just a by product of love we feel for each other and threatening our brothers and sisters only strengthens our values? There is no way we can understand why evil does evil. They will never understand that their acts of evil only strengthens us. The only know hate. I hope none of our members or friends live near this explosion near Waco, Texas. This is really bad. WACO (April 17, 2013)—Emergency crews were responding Wednesday night after a report of a major explosion at a burning fertilizer plant in West north of Waco. West firefighters were dispatched to the plant earlier in the evening after an earlier fire rekindled. Several buildings were reported destroyed and a nearby nursing home was damaged. There were reports that people were trapped in the nursing home and in an apartment building. Scanner traffic indicated that some residents of both the nursing home and apartment building were severely injured. Department of Public Safety troopers transported some victims to hospitals in patrol cars, said Gayle Scarbrough at the DPS Communications Center in Waco. Go to the link above - many updates. This is horrible! News Channel 25 has learned of a series of explosions in West, north of Waco. Witnesses believe a fertilizer plant on the 1400 block of Jerry Mashek Dr. exploded and cause multiple fires. For those of you with loved ones in West, Hillcrest has released an official hotline for people looking for loved ones possibly injured in West. The number is 254-202-1100. UPDATE: The evacuees are being moved from the football field to a location six blocks away. One policeman and five firefighters have been reported dead. Hospitals have been told to prepare for up to 200 patients. The entire city of West is being evacuated due to fear of a second explosion. UPDATE: West ISD has informed via twitter that the schools will be closed until further notice. FROM CNN: At least six helicopters are going to fly out those injured in the aftermath of a massive explosion Wednesday night at a West, Texas, fertilizer plant, Hillcrest Hospital CEO Glenn Robinson said. Others are being transported by ambulance, and some are getting to the hospital by car, he added. A triage center has been set up at a field alongside a school not far from the plant. UPDATE: The video above is from a witness who caught the explosion on camera. UPDATE FROM CNN: A hospital in Waco, Texas, has been told to anticipate 100 injured people coming in from a fertilizer plant where there was a massive explosion, an official at the medical facility says. Glenn Robinson, CEO of Hillcrest Hospital, said a field triage station was set up at the plant some 18 miles north of Waco after the Wednesday night explosion. FOX 4 News is reporting that as many as 30 people have been taken away from scene in wheelchairs, many of them injured at a nearby nursing home. Many of the injuries at the nursing home were from shards of glass. There are so many injuries right now that DPS troopers are loading their patients into their units and taking them to the hospitals individually. Residents in homes near the plant are being evacuated. An explosion ripped through a fertilizer plant Wednesday night in West, Texas, CNN affiliate KWTX reported. A photo of the explosion -- which reportedly happened around 7:50 p.m. (8:50 p.m. ET) -- showed a huge plume of smoke rising high into the air. The West Fertilizer Plant is located about 20 miles north of Waco. A school and a nursing home are among the buildings near the plant. My brother living in Waxahachie (almost 50 miles north of West, from where the fertilizer plant is located) felt the explosions! He heard the news on his scanner and texted me. I couldn't find anything in the news at the time, but I see there are news releases now. Just terrible. Prayers going out to those affected. Yeah this is horrific. They are saying 60-70 dead and possibly more than 200 injured. They don't really know yet because many are trapped in buildings. I read that the city of West is small, maybe 2300 people and 1/2 of the town is leveled. It looks like this man was filming the fire from his vehicle when the explosion happened. It's terrible but the latest news was the that they had gotten all the people out of the Nursing home. I read 133 then heard on the news 150. West is about 95 miles south of us. 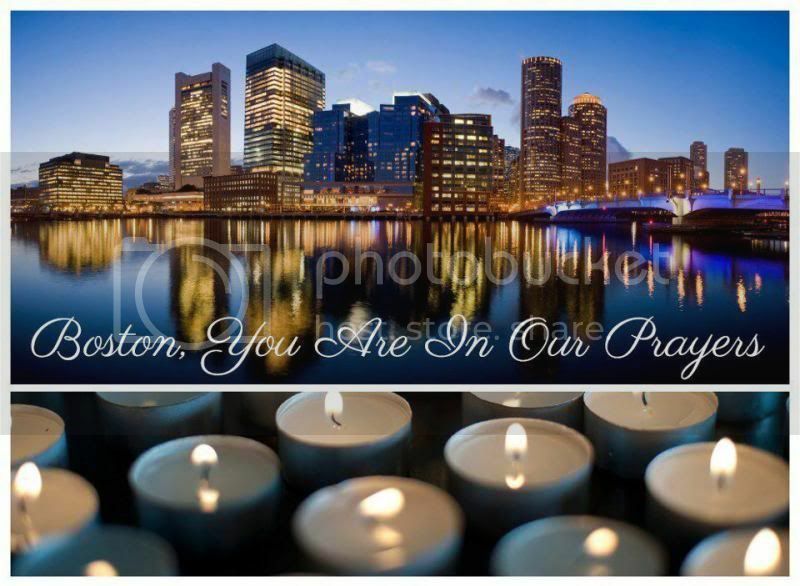 Prayers for all the people. The apartment complex by the plant was totally leveled. So very sad. So sad. Among the casualties are first responders. There are so may things at this sight. I want it all. I've seen something similar, but this is a fancier version. You're right Bearly, so many things at the site! Page created in 10.117 seconds with 19 queries.